You must make reservations at least 5 minutes in advance of the time at Chama Gaucha- Atlanta. Complimentary Valet Service every night and weekend. Complimentary Tower Walk Parking Deck Validation. Chama Gaucha offers 4 private dining spaces that can accommodate 12-200 guests and are fully equipped for your audio-visual needs. The private rooms, bar and large piedmont patio are available for lunch, dinner and cocktail receptions. From client dinners to cocktail soirees, rehearsal dinners to bar mitzvahs, product launches to corporate events, our warm and professional team will attend to every detail so you may enjoy your special event with your guests. Our gracious Brazilian hospitality, inviting rooms and exquisite cuisine ensure an extraordinary and memorable event. 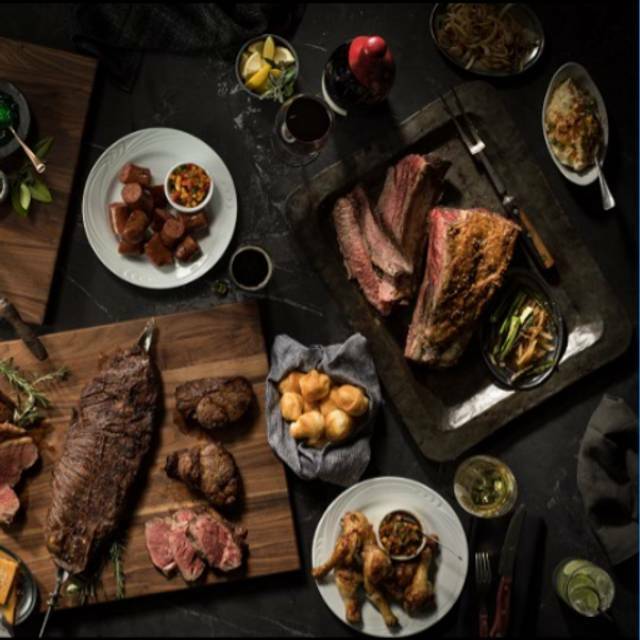 Wow your guests at Atlanta’s top-rated Brazilian Steakhouse Chama Gaúcha, known for delicious prime steaks and exceptional service. Guests love the modern sophistication of our Buckhead location and a top-quality dining experience that is both entertaining and memorable. 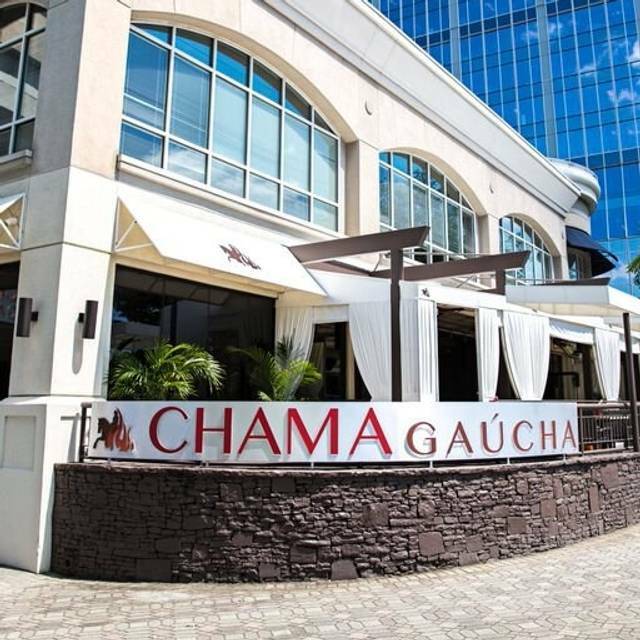 As Atlanta's top-rated Brazilian Steakhouse, Chama Gaúcha is known for delicious prime steaks and exceptional service. 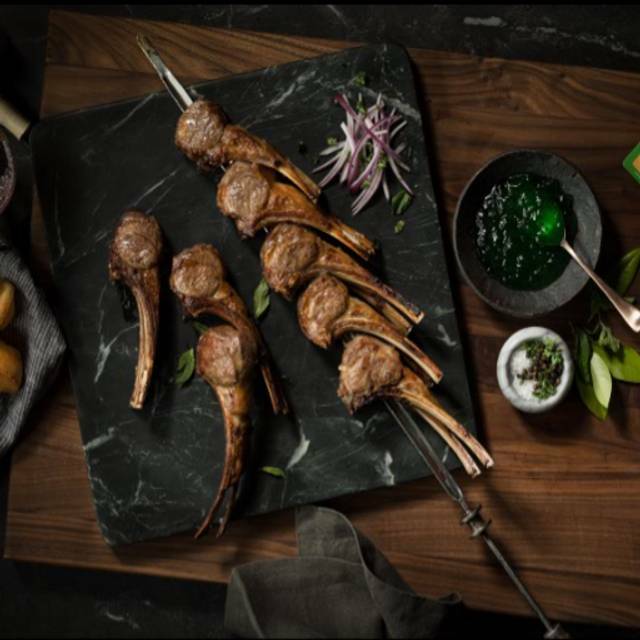 Guests love the causal sophistication of our Buckhead location and a top-quality dining experience that is both entertaining and memorable. 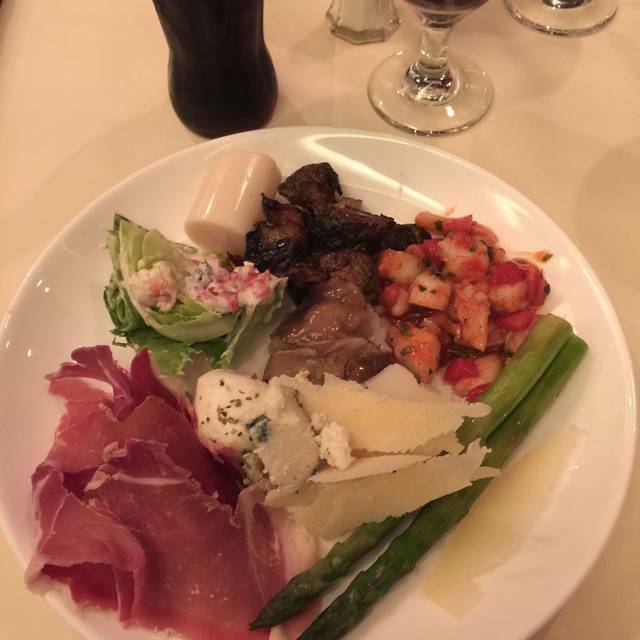 Our rodízio-style menu offers an abundance of fresh vegetables, artisan salads, soup, seafood, cheeses and charcuterie on our gourmet salad and starter bar followed by hot-side dishes, pao de queijo and our endless table-side carvings of 12 cuts including Beef, Pork, Lamb and Shrimp. 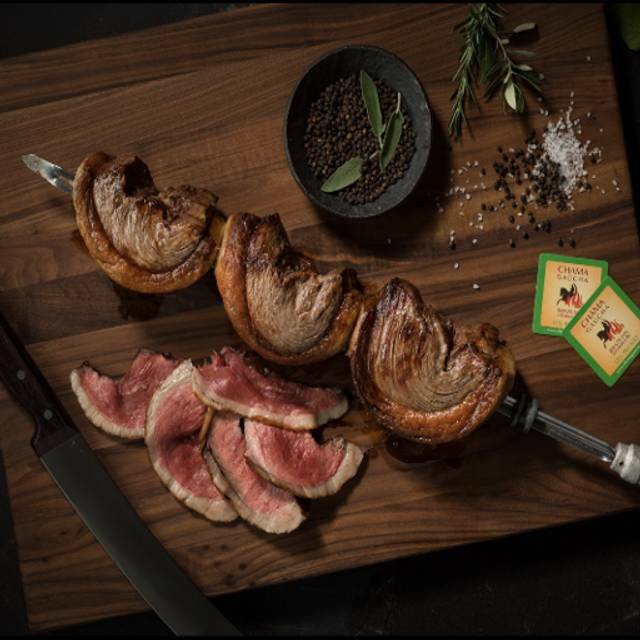 Chama Gaúcha is the only Atlanta Brazilian Steakhouse to serve 100% USDA Prime. 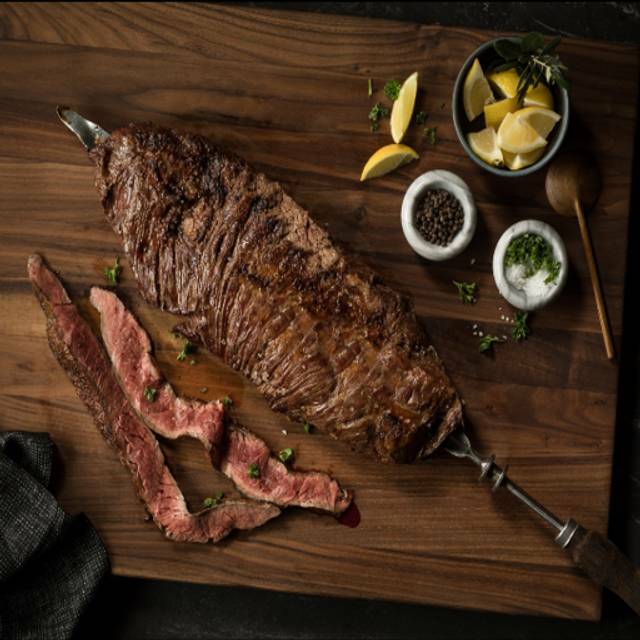 Our beef is aged a minimum of 45 days, butchered in-house and then seasoned and cooked over natural lump charcoal by our Gauchos. It’s passion you can taste! First off hands down best restaurant of this type in Atlanta. 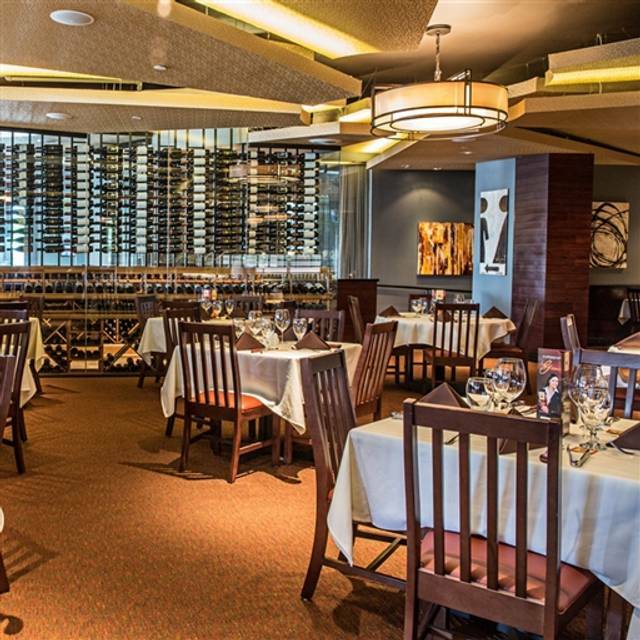 Every aspect of Chama Gaucha exceeds your expectations. Myself and wife have been coming to this location since opening in Atlanta, never a bad experience. I would recommend Chama Gaucha to anyone that asks, it is a dining experience that everyone should try and you will for sure return time and time again. The food was okay but not great and the service was horrible!! I booked this restaurant for my best friend’s bachelor party and they were extremely accommodating. I can’t say enough good things about the wait staff. The man who seated us made some great wine suggestions. The gauchos were happy to fulfill our requests. The service was wonderfully fast and they even seated us in a smaller private area with a couple of other larger parties. We even asked for grilled pineapple (which happened to be the future groom’s favorite) and after a trip to the kitchen we were informed that it was not on the menu for the night. Despite it not being one of the available courses and without asking for any special treatment, two plates of deliciously cooked pineapple were brought out just for us. If there was a way to give them 6 stars I would. 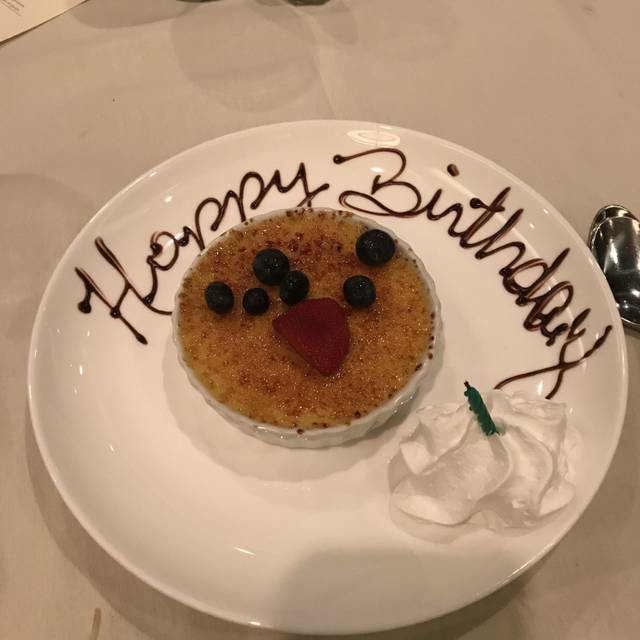 Everyone at the restaurant went above and beyond. It was great as always! The food and service was fantastic. I plan on returning soon. The food, staff, and drinks was amazing!!! Impeccable service and food! Our server, Justin, was attentive and respectful. Everything was great. This place wonderful.!! Prefect for an intimate dinner for 2 or a celebration dinner for a large group. Great attention to detail. I recommend to friends and family. Myself and family enjoyed our dinner there. Fabulous Brazilian stake house! Totally lived up to my expectations. We went for my boyfriends 24th birthday. It was a surprise dinner I treated him to and he loved it. We don’t get to go out often, so I wanted to make it special for him and this was the place to do it. The food was amazing and the service made him feel catered to which is exactly what I wanted. This might become an every year tradition. Best experience at a Brazilian restaurant ever! Food was exceptional and the service superb. I would recommend Chama Gaucha to anyone in search of an evening of elegant Brazilian dining. First time I have taken my family to a Brazilian Steakhouse, I have only eaten in one previously. So just seeing the looks on their faces when servers just showed up with skewers of steaks was priceless. Took them a minute to get the red/green card figured out. The service was impeccable and the food was absolutely delicious. Amazing! My first time there and the service was absolutely fantastic. The food was delicious and the staff polite and attentive. The meat is succulent and tender and well complemented by the salad bar selections. Just make sure you bring a very hardy appetite. We are repeat customers, and attended a family birthday celebration. 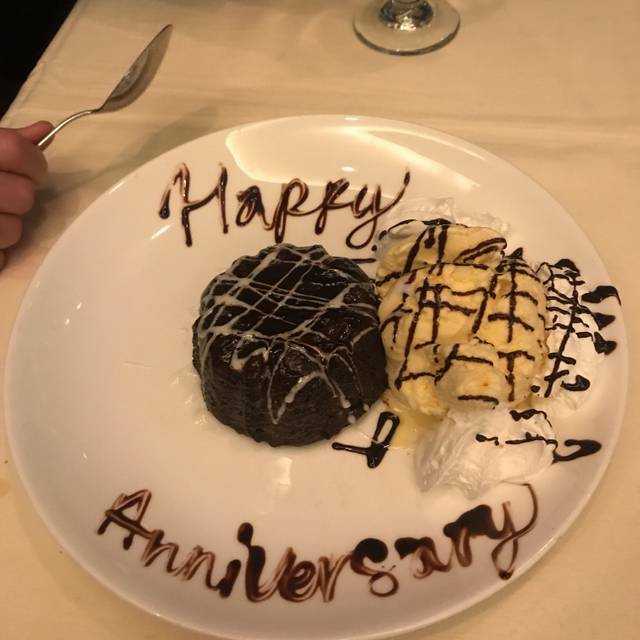 From the greeting by the manager, through the impeccable service, to the fantastic salad bar and many meat selections, it was a perfect evening. The servers are all slim for a reason: they are in constant motion making sure that every diner is getting exactly what he or she wants! The meat was all prepared beautifully, and seasoned optimally. The sides are always a delight, especially the caramelized bananas and mashed potatoes. Can't wait for another occasion to return. Too expensive for the quality of food. You would be better off with one good steak than a few good one. Service is amazing though. The waitstaff was very attentive to our every need. The food was great! I highly recommend this restaurant. The food is much better than other Brazilian steak houses, however we were out at a table in the back on the restaurant and forgotten. It was very hard to catch an available server. When we got our check they had over changed us for a drink , we got 3 however were charged for 4.... but it was so hard to catch our server we gave up and left. Pleasant staff, tasty food choices, great ambiance for couple or get together with friends. Excellent service. We have been to several churrascaria before. This is perhaps the best. Cuts of meats were good, well seasoned and cooked to perfection. Be sure to ask for the broiled pineapple. If you like it spicy, they provide sautéed onions and jalapeños. Excellent experience. Other than one server dropping meet on my leg it was fantastic! It’s was our first time there and overall everything was good. It started out a little rocky at first because we stated that it was our first time but then nothing was explained. Then another waitier came and saved the day. He was amazing!!! Extremely professional and made sure we had everything we needed. He was actually the only one that served us that night even though we were told that there would be 3 servers. He was great and made the experience awesome. We always have a fabulous time! Great food and drinks and we all love the experience! The lamb chops were unbelievable. Cooked just right with the perfect spices with a hint of mint. The filet was rare just the way I like it. My cigar group usual go about one Friday per month. Underwhelming seating area and salad bar but the food is good and service was good. It was a great experience and the food was perfect. I just wish it wasn’t so pricey. Great restaurant, the wait staff is very attentive, salad bar delicious, meat selection wounderfull ! I have been visiting Chama Gaucha few times for the past 2 years. They changed their schedule and canceled the weekday lunch special, which I was a little bit disappointed. They also canceled the prime ribs on the menu, which I'm not certain if it only happened for lunch time, but the prime ribs was their best dish and I was so looking forward to have some the other day. Overall I still like the place, just some changes that I'm not typically fond of. Excellent food, incredible service! The area where we were seated was loud. My daughter and I had a fantastic experience. The staff and food was superb! The Food was Totally Amazing...! Food is amazing and the restaurant is very nice and elegant. I tried the "other" competitor about a month ago and in my opinion Chama Gaucha is the winner in Brazilian Steak experience. The food was fabulous, the shrimp cocktail in the market table another plus. And the service was the winning element in my eyes. Chama Gaucha beat out the "other guys" with stellar service. So the next time our family has the urge for the Brazilian Steak experience, this will be where we go. Thanks for a great dinner and evening. See you again soon.